The farmhouse, outbuildings and electric fencing for the pigs are powered by solar panels with battery storage. In addition, there is a small experimental wind-powered generator that “trickle” charges the batteries during stormy weather. We have a diesel generator backup for long stretches of cloudy days. The predictable prevailing afternoon winds also run the windmill that fills the water tanks. 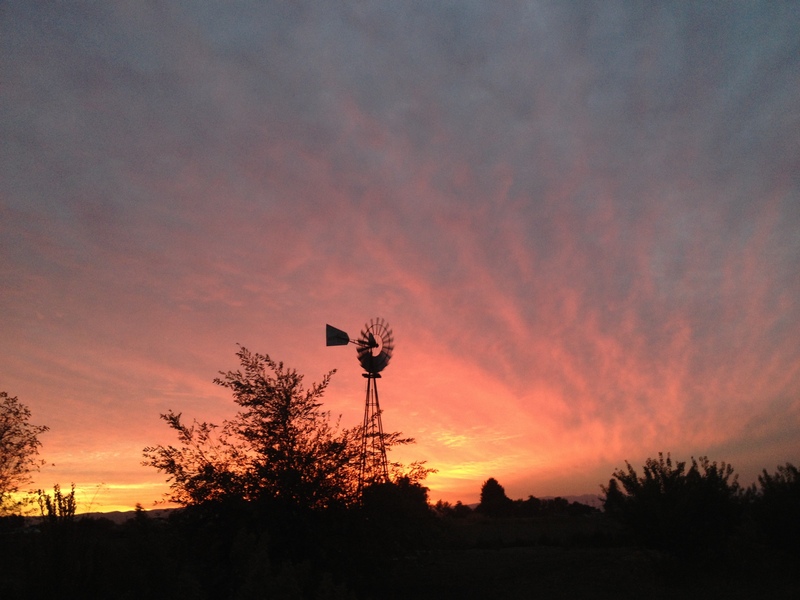 Windmills are a great example of an older technology that works splendidly under the right conditions…and it provides an enchanting sunset silhouette on the farm.